J.B. Pritzker speaks at an event. The billionaire businessman received an endorsement from former president Barack Obama. Former president Barack Obama has endorsed Democratic gubernatorial candidate J.B. Pritzker and his running mate Juliana Stratton ahead of November’s midterm elections. Obama tweeted out a list of endorsements on Wednesday, expressing his support for candidates in a number of states, in both statewide and national elections. It marks the first time that the former president has made endorsements for the midterms. In addition to Pritzker and three candidates for the U.S. House of Representatives, Obama also endorsed Kwame Raoul, who is running for Illinois attorney general. Raoul has occupied Obama’s former State Senate seat — for the 13th District — since Obama was elected to the U.S. Senate in 2004. “Today I’m proud to endorse such a wide and impressive array of Democratic candidates — leaders as diverse, patriotic, and big-hearted as the America they’re running to represent,” Obama said in the tweet. Pritzker is facing off against Gov. Bruce Rauner in the November election. Rauner, a Republican who has been deeply unpopular in Illinois due in part to the state’s two-year lack of a budget. Both Pritzker, a businessman and graduate of Northwestern’s School of Law, and Rauner are both spending millions during this election cycle. The Chicago Tribune reported in late July that Pritzker had spent nearly $11 million on advertising in recent months, compared to almost $5 million for Rauner. 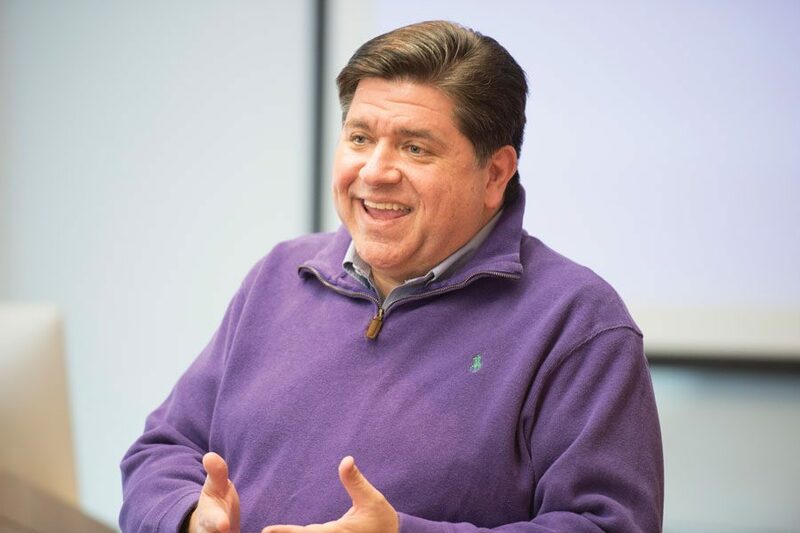 “His endorsement confirms his belief in our mission: that we are committed to fighting for the working families of Illinois and that we will get Springfield back on their side again,” Pritzker said in the tweet.